Explore at least 9 Stops. 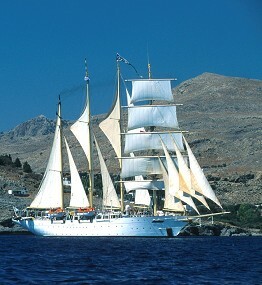 This voyage is a mixture of active but comfortable sailing. Penang'The Pearl of the Orient' lies off the north-western coast of Peninsular Malaysia, and is linked to the mainland by one of the longest bridges in the world. The capital, Georgetown, bears the stamp of a mixture of foreign influences and boasts a 65 story skyscraper called the Komtar, a complex of department stores, restaurants, theaters and squash courts. In total contrast, this beautiful island is home to one of the finest Buddhist temples in Southeast Asia, Kek Lok Si Temple. Ko Rok NokOne of the 15 islands that make up the Lanta group, just off the east coast of Thailand, these islands are part of a National Marine Park. Ko Similan is rated as one of the best locations for above and underwater beauty- excellent for diving. The Ko Similan National Park boasts a variety of landscapes with massive granite boulders set against turquoise waters. The 5000 year old reefs are said to be the oldest in Thailand so there is an enormous diversity of species, coral fish, turtles, manta rays, moray eels, reef sharks and sea snakes.